Peel the potatoes then cut into thin slices with a mandoline. Put them in a large saucepan with the rice drink, the soya cream, the knob of margarine, nutmeg and season. Stir while bringing to the boil then lower the heat slightly and cook for 5 minutes. 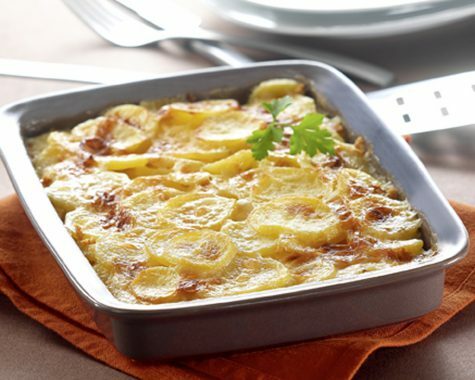 Delicately put the preparation into a baking dish, the potatoes should be well covered, bake at th.6 (180°) for 40 minutes.